Games Workshop, Warhammer, Dungeons and Dragons, Mage Knight, or Necromancer fighting ghouls or monsters. All are metal. 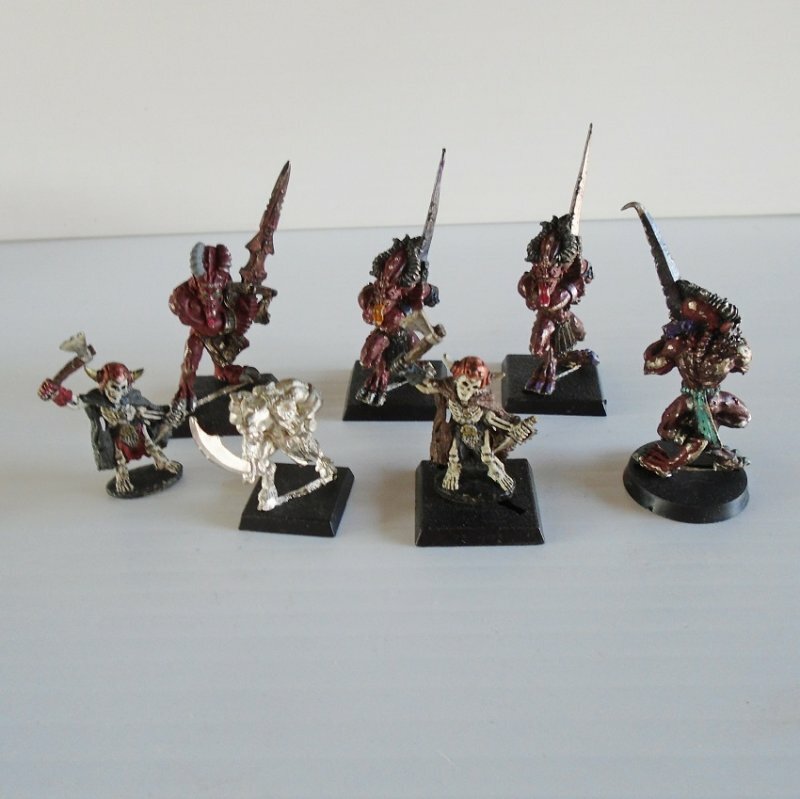 This listing is for pieces used with either Warhammer, Dungeons and Dragons, Mage Knight, or some other game. Sorry, but I can't figure out which game they go to. There are 7 figurines, all metal, all painted except for one. I believe they are ghouls or some type of monsters. I'm guessing at what they are called and may be way off. Buyer to pay $4.85 USPS First Class Mail Package shipping charges. Shipping is from Arizona. Also, every January the postal service increases shipping charges. We've already received the notice of the upcoming price increase and it's pretty ugly. We've been warned to expect price increase of upward to $2.00 for Priority Flat Rate charges in January. I try to absorb some of the new charges but that's getting harder with each increase.